Guinness has just released its West Indies Porter to Australian shores, a full-bodied beer steeped in globetrotting history. The West Indies Porter was inspired by an 1801 recipe conjured up at the experimental Open Gate Brewery at St. James’ Gate in Dublin, Ireland. Looking to create a beer that could withstand the month-long export journey across the sea to the Caribbean (then West Indies), brewers found the preservative nature of the right selection of hops to be the solution. 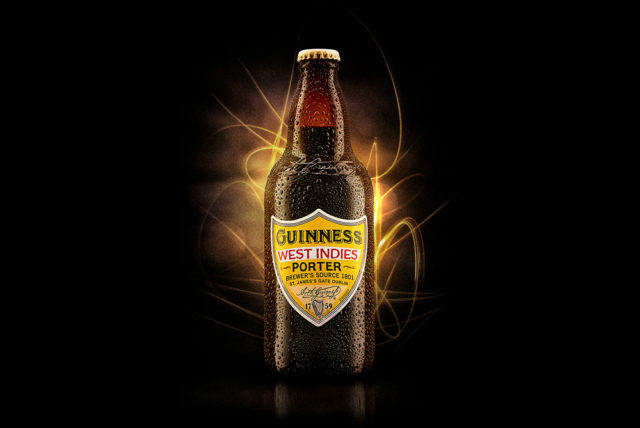 Brewed with more hops and higher gravity, Guinness’ West Indies Porter is a full-bodied and richly flavoured beer. On the nose are toffee and caramel notes, with sweet chocolate and coffee flavours and a smooth, easy finish. The Guinness West Indies Porter comes in 500ml bottles at 6% abv, sold exclusively from Dan Murphy’s for around RRP $20 per three bottles. But get in quick, only 9,600 bottles are available nationwide from March 2017.